You're ready for all kinds of weather with these double-hinged French doors and hinged prairie-style screens. Tempered, high-performance glass panels make up the broad lites of the internal doors, fitted to swing into the home. Simplicity and charm are the hallmarks of well-crafted French doors with wide rails and four hinges for a tight, secure installation. You'll love the wide opening for access, as well as the added natural light in your living room, dining room, or master bedroom. 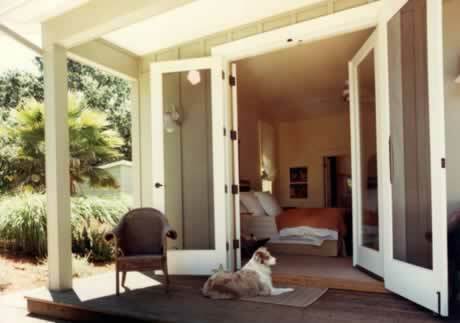 And the French doors conveniently open out to a porch or patio, extending your home during good weather. Foot locks or reach-out locks keep your home secure. With proper installation, double-paned French doors can cut down your heating and cooling bills, too.